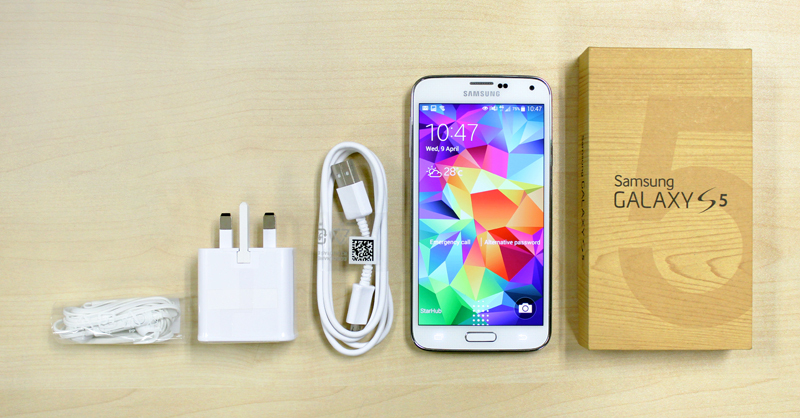 When Samsung unveiled the GALAXY S5 at MWC in February, CEO J.K. Shin, said Samsung was "going back to basics." But while Shin's statement was a knowing nod to the fact that Samsung's consumers want better core functionality, not flashy gimmicks, we find it hard to consider any phone with an IP67 rating, fingerprint scanner, heart rate sensor and a camera with phase detection autofocus as 'basic'. 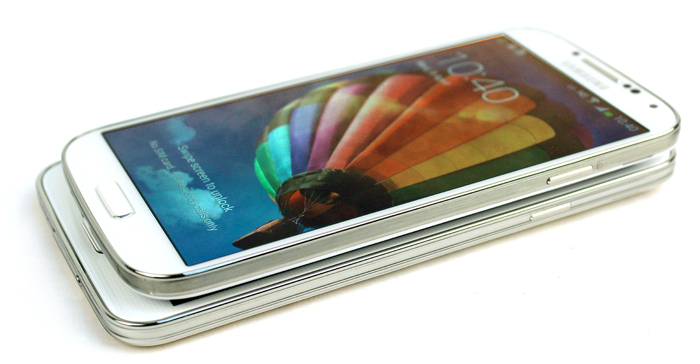 In fact, while it may just be Shin being coy, the S5 is undoubtedly Samsung's most advanced device. But then, maybe Shin is right to be coy. After all, as we've seen from the S5's predecessor, just being advanced isn't enough. And with stiff competition from the recently announced HTC One M8 and Sony Xperia Z2, the GALAXY S5 will have to prove more than ever that its advanced features aren't just gimmicky party tricks. Will it succeed? Let's find out. If there's one thing that hasn't advanced, it's Samsung's design aesthetic. 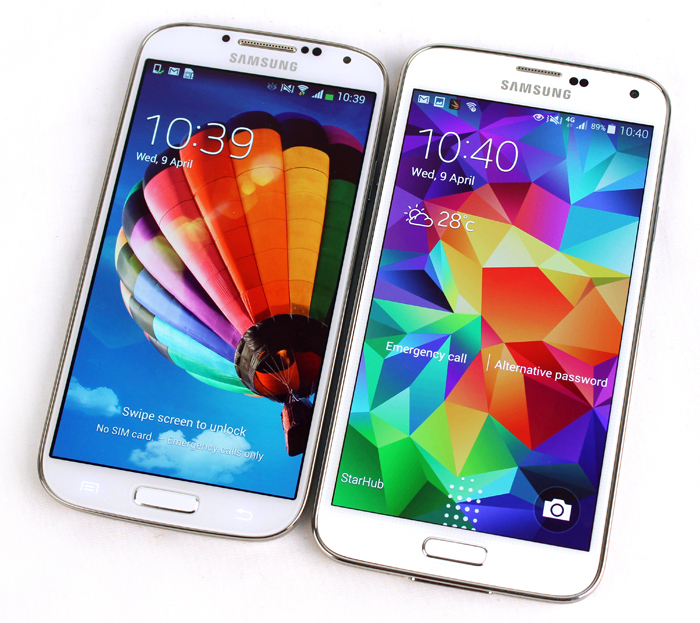 Looking almost identical to the S4 - and looking back further, the GALAXY S III too - the S5 retains the usual entirely plastic build, which includes the same rounded corners and 'chrome' ridged edges. 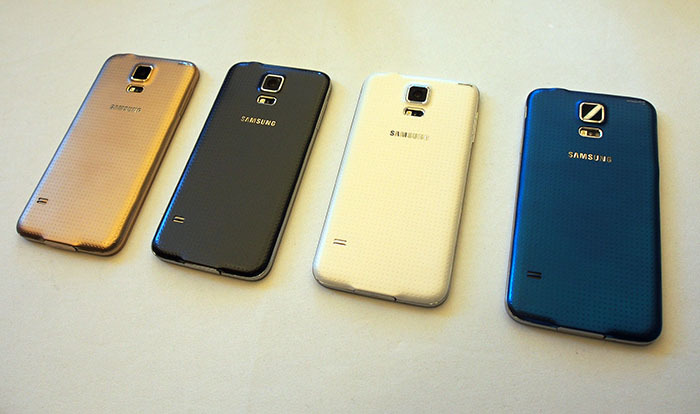 The S5 will be available in four colors, Charcoal Black, Shimmery White, Electric Blue, and Copper Gold, although in Malaysia at least, only Black and White will be available at launch. No word yet on when blue or gold will be available, which is pretty disappointing considering that the blue is identical to the black, except with a different color removable battery cover. 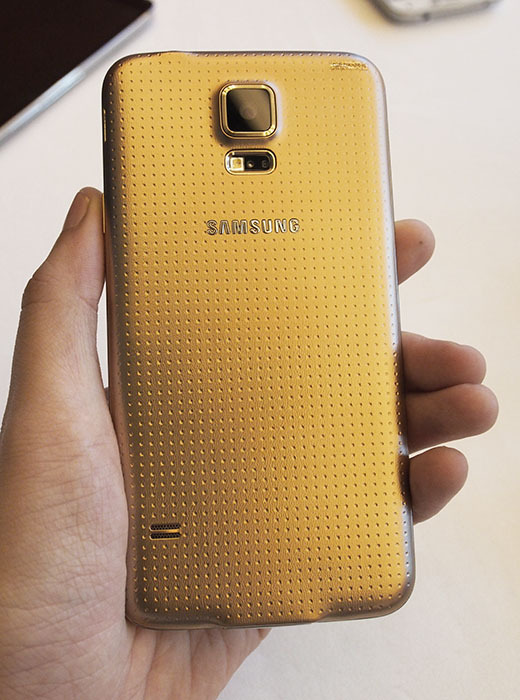 The gold, however, does have matching gold bezels, so we'll forgive Samsung for late shipments there. While Samsung has been touting the S5 as having a 'modern glam look', as you can see, the back cover is really all its referring to. The 'modern glam look' seems to refer to the dimpled pattern on the battery cover, which is really the only aesthetic that makes it different from Samsung's other devices - as you can imagine, we don't feel that this really lives up to Samsung's description. The gold version was also rather famously compared to a band-aid. On the plus side, the dimpled rear does give the S5 a rather nice texture and feel, and it's certainly more grippy than the glossy plastic of previous Samsung phones. 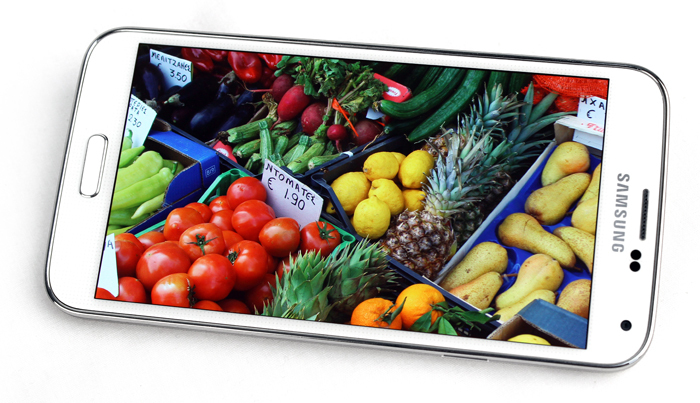 Like Sony's Z2, Samsung has bumped up the screen size on the S5, which grows to 5.1-inches. Unlike the Z2 (which is actually thinner and lighter), the S5 is not only slightly longer, but also thicker and heavier than its predecessor, coming in at 145g - 15g heavier than the S4. While the extra thickness isn't really noticeable - it's only 0.2mm - the extra length and weight is. The front of the phone has Samsung's usual rectangular home button, with two capacitive buttons on the side. The only real change here is the left button, which used to be the "Action Overflow" button, but is now a multitask button that lets you easily switch between apps - you can still access Action Overflow by long-pressing the same button. Without a doubt, the best new design feature on the S5 is its IP67 rating, which makes it impervious to dust, and mostly impervious to water, being able to survive immersion between 15cm and 1m for up to 30 minutes. For comparison, the other dust and water resistant flagship phone on the market is Sony's Z2, which is IP58 rated, making it worse against dust, but better against water. 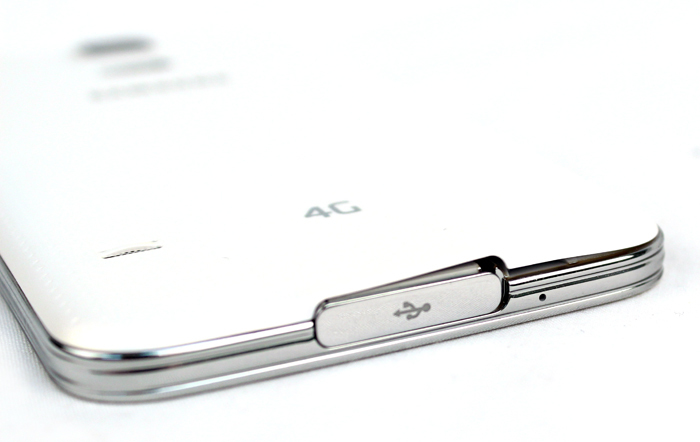 The IP67 rating means that the micro-USB port on the S5 requires a sealed cover, which can be a bit fiddly to open. 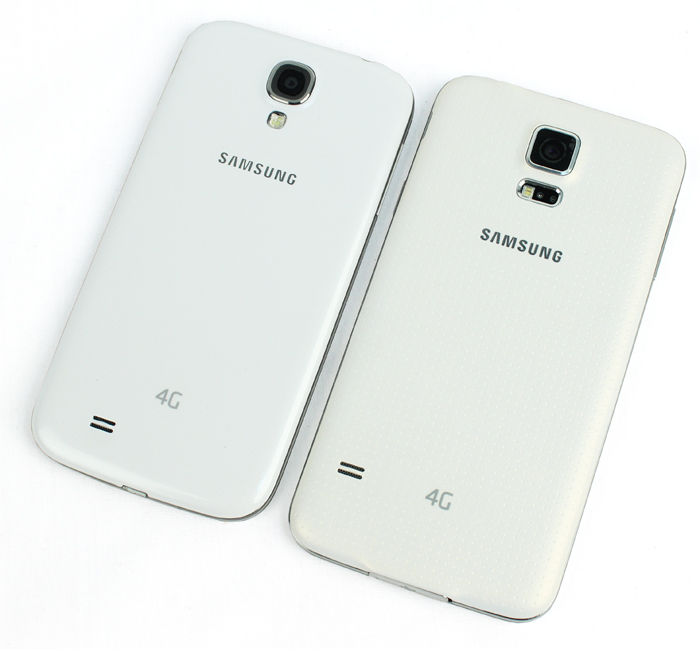 As mentioned, the S5 sports a removable battery cover, which gives you access to the micro-SIM tray and microSD slot. While we like being able to replace the battery, honestly, it doesn't seem like the best design for a waterproof phone as there are multiple points all around the edge of the cover that need to be pressed down to ensure a tight seal - just one point not pressed into place firmly enough and you can forget about your S5 surviving its plunge into the drink. If you've ever had your biscuits go stale because you didn't fully press down the lid of your tupperware, you might want to be extra careful with the S5. Taking a quick glance from the past, Sony's old Xperia V was one of the first IP57 rated phones in its day and its removable battery case was prone to leaks based on community feedback; there's a perfectly good reason why Sony's following flagship devices have kept to a non-removable battery design since then. While the S5's display has grown larger, the screen resolution hasn't, and the S5 is fitted with a Full HD resolution (1920 x 1080 pixels) Super AMOLED display - which actually gives it a slightly lower screen pixel density at 432 pixels per inch (ppi) than the S4's 441 ppi. Having said that, clarity looks indistinguishable between the two displays, so this isn't much of a concern. In all other areas the S5 display does look noticeably improved. Maximum brightness is quite a bit higher than the S4, which makes viewing under even bright overhead sunlight comfortable. According to DisplayMate, the S5 is actually capable of hitting 698 nits, which makes it one of the brightest smartphone displays around. In Standard Screen Mode, colors can look a bit oversaturated, but switching to Cinema mode results in a more natural color reproduction. Contrast, as usual, is top notch, with super deep blacks. Unfortunately Samsung hasn't paid much attention to audio on the S5, which sounds much the same as the S4, and generally lacks in both volume and bass. This isn't much of a concern as most users are likely to have a good pair of headphones anyway, but when both HTC and Sony are offering front-facing stereo speakers on their flagship devices, it does make the S5 sound rather underwhelming in comparison. An exciting new feature on the S5 is the inclusion of a fingerprint scanner on the Home button. As someone whose personal device is an iPhone 5s, I'm very much sold on the concept of unlocking your phone with a fingerprint. The S5 scanner is quite different from the iPhone 5s, and requires a vertical swiping motion, similar to the fingerprint scanners found on many enterprise notebooks. As a result it's not as fast as the iPhone 5s, and you also need to turn the display on before you can swipe your finger to unlock it. Unlike the iPhone 5s, it also can't be unlocked from any angle, requiring the same vertical swipe motion each time, with no allowance for slower or faster swipes, or any diagonal deviation. 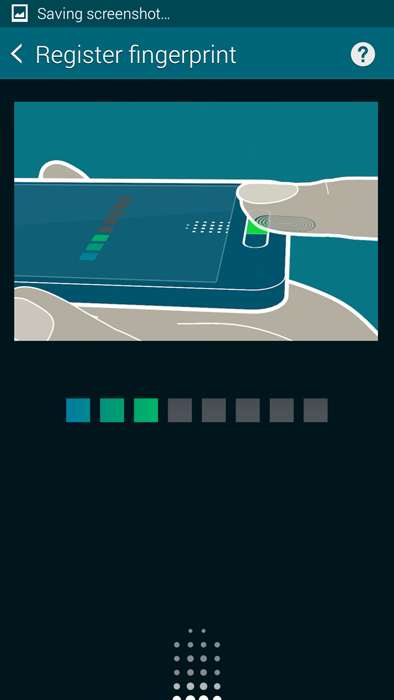 Some users may also find the scanner a bit low, which, combined with the vertical-only swiping motion, can make one-handed unlocking a bit tricky. We actually had better success holding the phone in one hand and unlocking with the other. Even so, while it's definitely not as well integrated as Apple's seamless one-button press fingerprint scan, it's still faster and more convenient than unlocking your phone with a pattern like some kind of caveman. One advantage the S5 does have over Apple is that, unlike Apple, Samsung has opened up the fingerprint scanner SDK to developers, letting it be incorporated into apps. The first company to take advantage of this is PayPal, who has partnered with Samsung to let customers use the S5's fingerprint scanner for one-touch fingerprint activated web store checkout in more than 26 countries. Setting up the scanner is a simple procedure, and for the most part, the same as Apple's setup procedure, requiring you to swipe your finger over the home button eight times. You also need to set up a backup alphanumeric password. A minor annoyance is that you can only register up to three fingerprints. 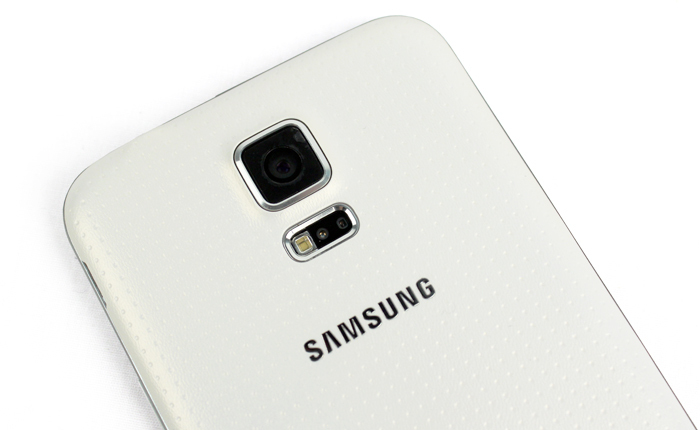 The S5 is fitted with a heart rate sensor at the rear, just next to the LED flash. Put your finger over it and it can track your heart rate. 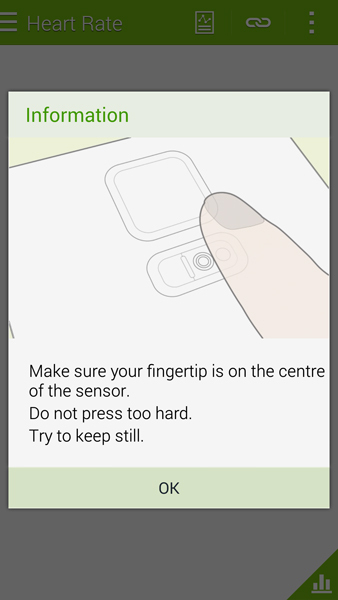 Like the fingerprint scanner it's not the best implementation, as you need to make sure your finger fully covers the sensor, and that you don't press too lightly or too hard, but with enough usage, most users will get the hang of how to do it. Getting a reading takes about 10-15 seconds, and like most heart rate monitors, it tells you not to talk or move around while its taking a reading. 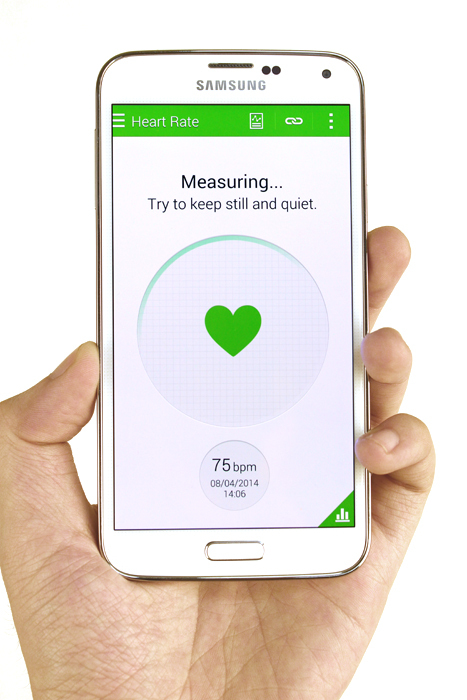 If you're wondering what the point of the heart rate monitor is, it all fits in with the active lifestyle theme Samsung seems to be pushing with its latest devices. From the Gear 2 to the Gear Fit, and even the IP67 rating of the S5, all of Samsung's new products seem geared towards complementing an active lifestyle. 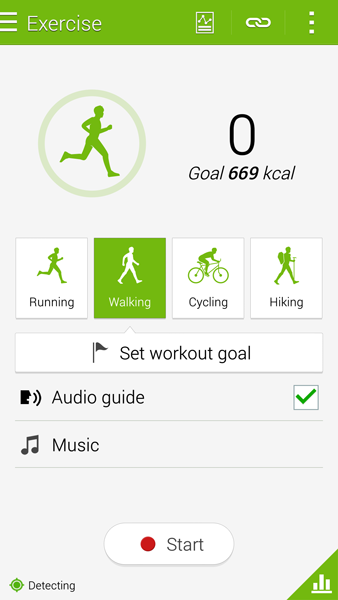 As such, the S5 also comes pre-loaded with Samsung's S Health personal fitness tracker, which offers personalized fitness workouts and can help track your fitness stats, from calories burned to steps taken. 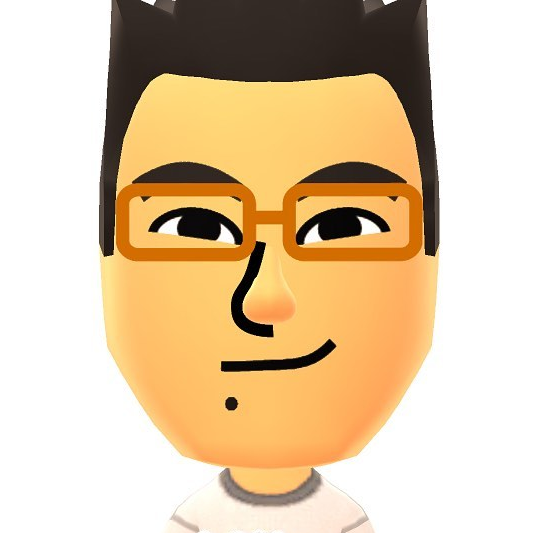 It will also suggest workout routines and goals, and there's even an incentive-based medal system for hitting certain milestones. 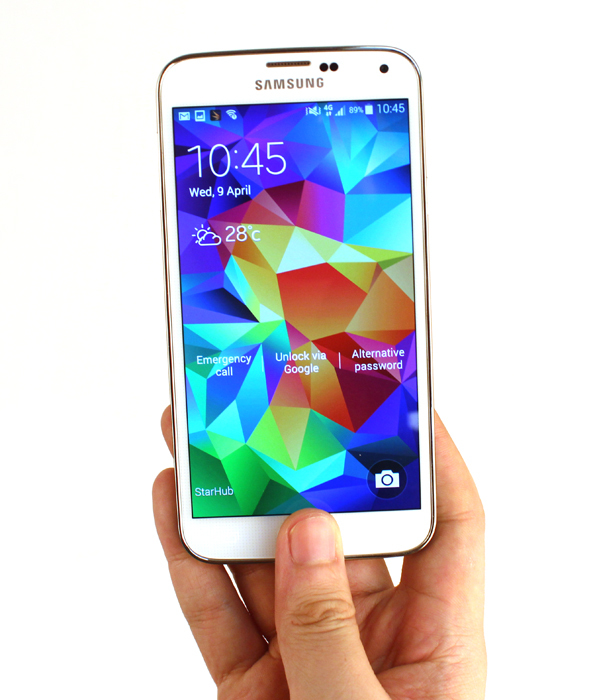 The S5 has been upgraded to Android 4.4 KitKat, with Samsung's usual TouchWiz enhancements and optimizations. While Samsung hasn't loaded up the S5 with nearly as many new software features as the S4 had, it does have a few new tricks, and almost all of the features found on the S4 such as Smart Stay, which keeps the display on as long as you're looking at it, and Air Gestures, which lets you wave your hand over the phone to control it, are still present and accounted for in the S5. 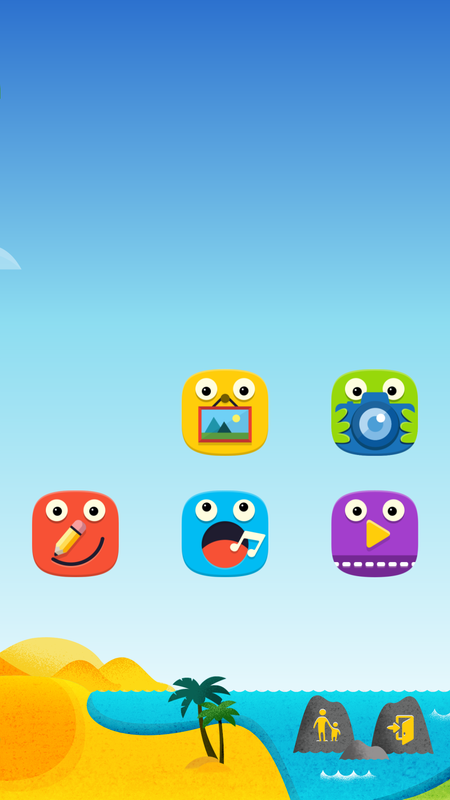 The new Kids Mode is somewhat similar to Guest Mode seen on LG phones and lets parents set up a mode for children who want to use the device, with restricted access to certain apps and features while they use it. 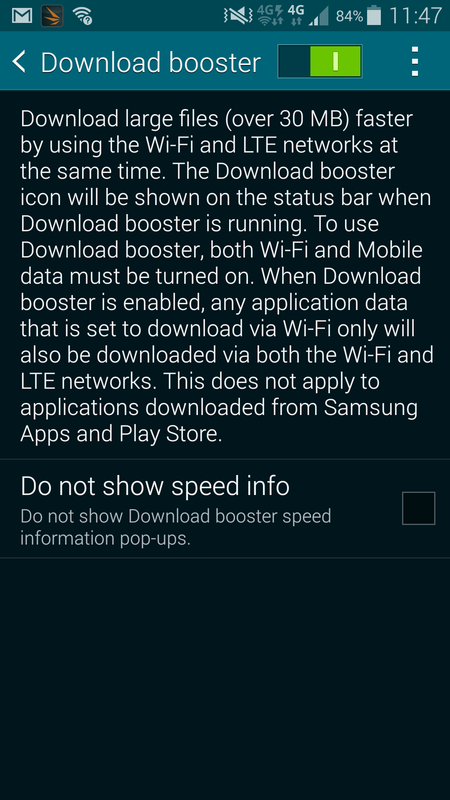 Samsung's Download Booster claims to offer significantly improved download speeds by combining LTE and Wi-Fi 802.11ac connections together, although, our brief testing with the feature has proved inconclusive for now. Nevertheless, it's a useful feature when you absolutely need to download a file as fast as possible. We did successfully test this feature out on Samsung's GALAXY Note Pro 12.2-inch LTE tablet where the feature was known as Network Booster. So yes, the feature does work, but it's subjective to many other factors that's not within one's control. 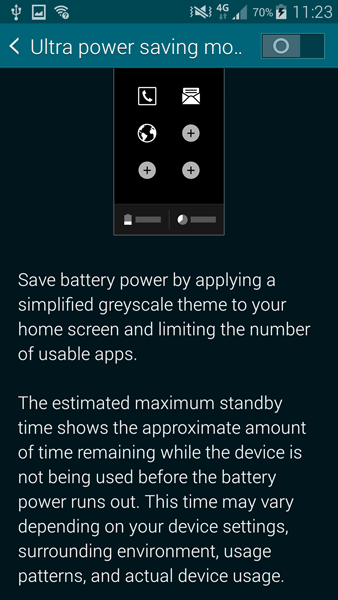 The Ultra Power Saving Mode is an interesting addition that will help conserve battery life in tough situations by turning off almost all unnecessary features, such as Bluetooth and Wi-Fi, camera functionality, and even display colors, switching the screen to a stark black and white for maximum power saving. According to Samsung, in this mode, the S5 can last an impressive 24 hours on as little as 10 percent remaining battery life. In this mode, by default, you're restricted to only the most basic apps: phone, messaging and Internet. You can however add a few extra custom apps to the list.